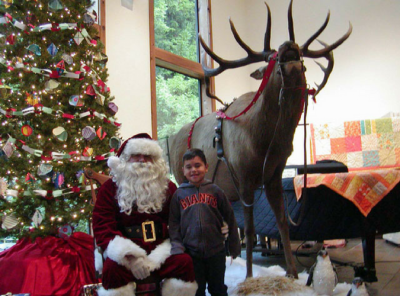 Gualala Arts’ 14th Annual Festival of Trees will be held Thanksgiving weekend, Friday, November 24, 10:00 am to 6:00 pm and Saturday, November 25, 2017, 10:00 am to 4:00 pm, kicking off the Holiday Season on the Mendonoma Coast. Admission is free. The improved payment system returns, with shoppers being able to pay the vendors directly for their purchases rather than having a central cash register.